NBC’s officially confirmed the dramatic series Manifest will return for a second season. The first season of the sci-fi series with a Lost vibe averaged 12.6 million viewers. 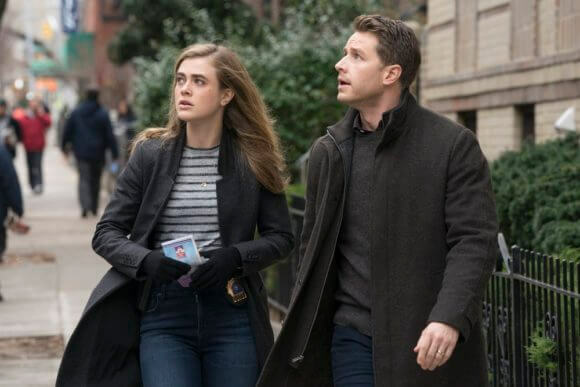 According to NBC, Manifest was ranked first among all scripted series with adult viewers ages 18 to 49. The season one cast was led by Josh Dallas (Once Upon a Time) as Ben Stone and Melissa Roxburgh (Valor) as Michaela Stone. Athena Karkanis is Grace Stone, J.R. Ramirez is Jared Vasquez, Luna Blaise is Olive Stone, Jack Messina is Cal Stone, and Parveen Kaur plays Saanvi Bahl. Manifest is written and executive produced by Jeff Rake (The Mysteries of Laura, The Tomorrow People). Robert Zemeckis, Jack Rapke, Jackie Levine, and Len Goldstein also executive produce. “When Montego Air Flight 828 landed safely after a turbulent but routine flight, the crew and passengers were relieved. Yet in the span of those few hours, the world had aged five years and their friends, families and colleagues, after mourning their loss, had given up hope and moved on.